Some images from the “Voices and Visions” exhibit, pairing contemporary artists and designers with powerful quotes from Jewish thinkers. The exhibit was created by Beth-El’s Art Committee and can be viewed through the end of August. 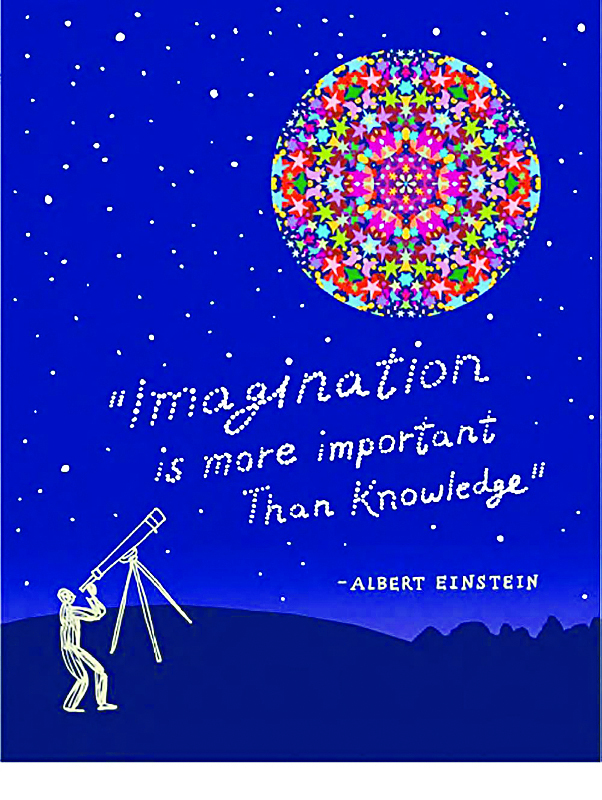 Beth-El’s Art Committee has curated a unique display that pairs contemporary artists and designers with powerful quotes from Jewish thinkers. The exhibit can be viewed in the Temple Board Room from June through the end of August and is open to the community. “Voices and Visions” was inspired by the Container Corporation of America’s “Great Ideas” series. Launched as an ad campaign in the 1950s, the Container Corporation paired famous quotes and graphic design, and published images monthly across the United States. In a short time, the campaign moved away from advertising and become an art phenomenon. In 1993, a collector and appreciator of “Great Ideas,” Harold Grinspoon, founded the Harold Grinspoon Foundation, a North American Jewish nonprofit organization with the goal of enhancing Jewish community life in North America. In late 2012, “Voices and Visions” released its debut Masters Series, a collection of 18 images that pairs leading figures of contemporary art and design with powerful quotes from Jewish thinkers. Among Grinspoon’s many other highly regarded programs is the PJ Library, which provides U.S. Jewish children with age-appropriate books highlighting Jewish holidays, values, Bible stories and folklore. There is also an Israeli version of the PJ Library, Sifriyat Pijama, which gifts books in Hebrew each month to more than 100,000 preschoolers in about 4,000 preschools throughout Israel. Some 300 people attended the Israel@70 Gala. The celebraton was sponsored by the Jewish Federation of Fort Worth and Tarrant County with financial support from the Foundation of the Jewish Federation, the Dan Danciger/Fort Worth Hebrew Day School Supporting Foundation, Harold Gernsbacher, Ben and Suzie Herman, Jeffrey and Linda Hochster, Rich and Terri Hollander, Isadore Garsek Lodge of B’nai B’rith, Stuart and Rebecca Isgur, Sam and Diane Kleinman, Monica O’Desky, Mark and Naomi Rosenfield, Sendara Title, and Tarrant County B’nai B’rith Housing. Members of the Host Committee were Julie Berman, Rabbi Andrew and Michal Bloom, Marc and Jane Cohen, Rabbi Charlie and Adena Cytron-Walker, Al Faigin, Robert and Phyllis Fenton, Red and Julie Goldstein, Bill and Noreen Houston, Ben and Shoshana Isgur, Karen Kaplan, Teddy and Shirry Knitel, Kurt and Ilana Knust, Ebi and Linda Lavi, Harold and Marcia Malofsky, Corey and Neta Mandel, Dale and Posey McMillen, Marcy Paul, Michael and Beverly Ross, Robert and Cindy Simon, Cheryl Visosky and Rabbi Brian and Mimi Zimmerman. As part of the The Global Lens of Len Schweitzer, an exhibit featuring his landscape photography from his worldwide travels on display at Beth-El Congregation since February 2018, the Temple will hold an Art Salon from 7 to 8 p.m. Wednesday, May 23, in the Boardroom. Having recently returned from revisiting Scotland — one of his favorite venues — Schweitzer will share his impressions of the snow-covered Northwest Highlands, set in a landscape of open moorlands. He will also discuss and answer questions about the approaches, techniques, and processes he uses to capture the varied, evocative works featured in his exhibit. Art salons date back to Paris in 1667 as an opportunity for artists, art lovers and others to gather, network and exchange ideas about art. Beth-El began holding its Art Salon in 2015. 14-yr-old Jayden sings Ave Maria a cappella in the Saint Peter’s Basilica at the Vatican. Five years ago, at a time when 13-year-old girls were listening to Pink, Bruno Mars and Demi Lovato, Southlake’s Jayden Goldberg was taking the stage at the Majestic Theatre in Downtown Dallas to perform the role of Betsie Ten Boom in The Weaving. It tells the story of Corrie Ten Boom, a Dutch Christian who helped over 800 Jews escape the Nazis during the Holocaust. She described Ten Boom’s life as a weaving, a tapestry of good, light threads and difficult, dark threads. 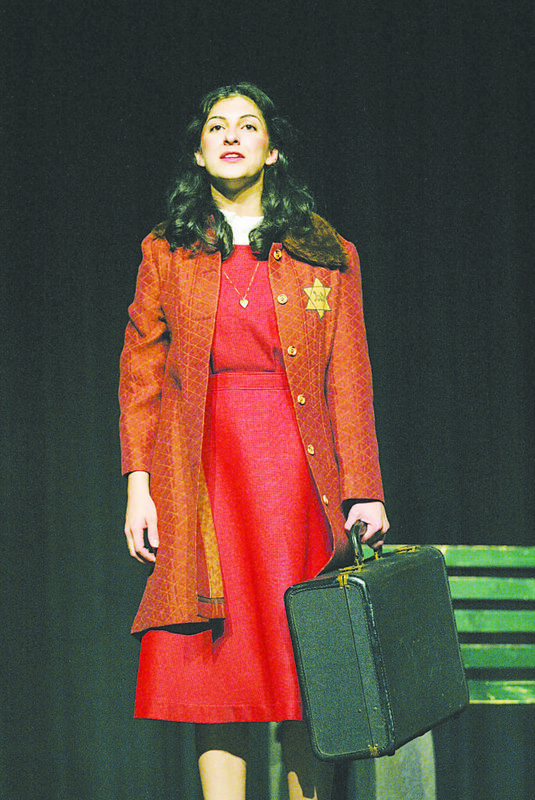 The dramatization featured original music and choreography mirroring the journey of Corrie as she and her sister, Betsie, brought light and hope into the darkness of the Ravensbruck Camp in World War II Germany. “They wrote in an angel scene to add Jayden’s solo of Ave Maria after Betsie’s sister died,” said Jennifer Goldberg, Jayden’s mother. That was the level of emotional material this then-eighth-grader Jayden expressed with her gift of voice. Now, as an 18-year-old, Jayden has friends who are into Ariana Grande, Cardie B. and Drake, while the young classical musician sees to final details for the Sunday, May 20, Share the Passion Benefit Concert she is producing as her Senior Capstone project at Fort Worth Academy of Fine Arts (FWAFA). A Senior Capstone project is typically a presentation of an idea or belief about which the student is passionate. Jayden chose to combine her passion for classical music with her goal to provide school-aged children from low-income homes exposure to the art form through the Share the Passion Benefit Concert. The organizer recruited talent from among her performing peers at FWAFA. They will join her in singing a repertoire of classical music and Broadway show tunes. All performers and concert benefit support staff are volunteering their time and talents for Share the Passion. Jayden performed Ave Maria again at 16, as an a cappella soloist at St. Peter Basilica in Vatican City. With her horizons already broadened, she became a God Bless America and Star-Spangled Banner soloist at Dallas Stars, Texas Rangers and Portland (Oregon) Winterhawks games. Rodgers & Hammerstein’s Carousel at FWAFA featured Jayden as Julie Jordan, whose If I Loved You was a fitting opportunity, along with the rest of the score, for her to tackle. She was the opening act for Lee Greenwood at the La Quinta National Conference in Hawaii in 2014 at age 14. That year she performed in The Nutcracker at the Irving Arts Center. At 16, Jayden was back in Italy performing in The Marriage of Figaro at the Amalfi Music Festival. 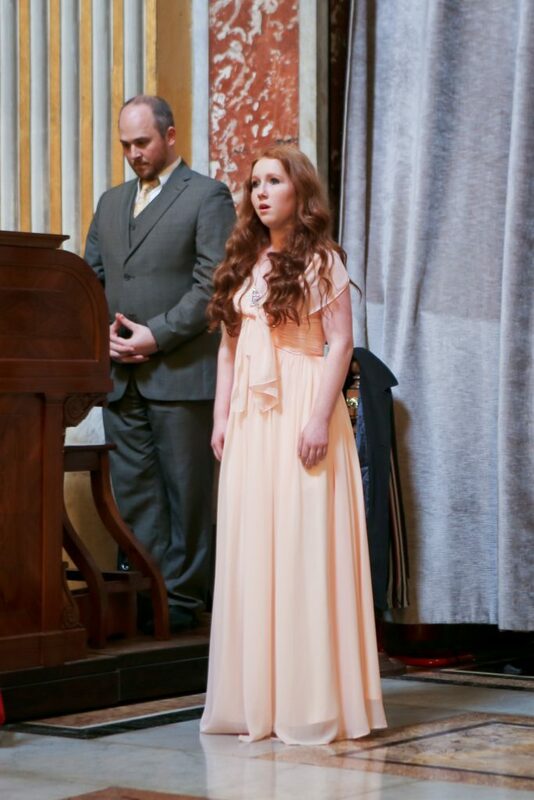 As a contract singer with Fort Worth Opera’s adult chorus, Jayden performed in Don Pasquale and Carmen last year. “That was one of the biggest challenges I’ve had,” she said. According to Jayden’s father, Wayne Goldberg, Jayden was the youngest chorus member ever to sing with the Fort Worth Opera while performing in Carmen. “She also performed this year in Don Pasquale and Frontiers,” he added. Both performances were with the Fort Worth Opera at Bass Hall. Jayden was the cover for a new world premiere opera called The Falling and The Rising at TCU. She took first place at National Association of Teacher Singers this year. She was also a 2018 National YoungArts winner. All the winners spent a week in Miami in January and there, she was awarded second place overall for classical voice. The National Honor Society student received a 2017 Outstanding Growth Artistic Excellence Award in Music Theory. Jayden is a nominee for The President’s Volunteer Service Award Silver 2018. Jayden is one of only 20 nominees for the U.S. Presidential Scholars in the Arts recognition, with the winner to be announced soon. “This is the highest level of honor a high school student of the arts (voice, instrument, painter, sculptor, poet, author, dancer, musical theater, drama, visual artist) can earn,” her mother said. The graduating senior has some big decisions to make soon. Eight prestigious music schools have accepted Jayden and offered her merit-based scholarships. Those include San Francisco Conservatory, New England Conservatory and The Boston Conservatory. Jayden’s Share The Passion Benefit Concert will be held at 3 p.m. May 20 at the FWAFA, 3901 S. Hulen St. in Fort Worth. All of the funds raised at the benefit concert will pay for tickets enabling children from financially disadvantaged homes to attend a final dress rehearsal for a Fort Worth Opera performance through the Fort Worth Opera’s Student Night Out Program. Transportation is included where needed, and arrangements will be coordinated by their schools. “I’m blown away. I wanted to do a benefit concert. I want to give back to our community. The arts are going to rely on us to grow another generation filled with art and music,” Jayden said. For tickets and additional information, visit sharethepassion.org. Some of you may or may not know that a couple of weeks ago, I returned from Poland and its portion of the March of the Living (I will be telling this story comprehensively soon). I was stunned to see the depth and breadth of the Jewish community and cultural life before the Holocaust and bore witness to the atrocities the Nazis perpetrated on the Jews and others. It was beyond what I had ever thought I knew. Despite troubling headlines from Poland, the Jewish community there is flourishing, a miraculous revival despite the history of the Holocaust and communism. I witnessed firsthand the thriving Jewish Community Center in Krakow and heard from its dynamic leader. It has a kindergarten with 11 Jewish students (see story this page). Karina Sokolowska, the director of American Jewish Joint Distribution Committee’s Poland office, will be in Fort Worth with an update on the revitalization of Jewish life and community in Poland. She will also discuss challenges including the recent legislation about Holocaust history and its consequences. The program is at 7 p.m. Thursday, May 10, at Beth-El Congregation. Since 1994, Karina Sokolowska has been providing many generations of Jews, especially thousands of children and youth, the precious opportunity to strengthen and, in many cases, entirely rediscover their Jewish identity, through her JDC work. Karina’s journey into Jewish identity began when she was a freshman studying Japanese at the University of Warsaw. A fellow student recognized Karina’s German mispronunciations as Yiddish and asked her to lead the Polish Union of Jewish Students. It was a pivotal moment for Karina, one that launched her into a long-lasting career as a Jewish communal worker. Karina has seen her country undergo monumental transitions: from suppressive rule that stifled all possibility for religious and cultural freedom, to a system that has provided a space for Jews to express themselves. She recalls that before JDC’s involvement in the country the only real expression of Judaism was a box of matzah distributed by JDC to the Jewish community during Passover. Karina’s work as the Poland Country Manager involves Jewish renewal work across Jewish communities in Poland, including organizing conferences for Limmud participants to learn about Jewish identity and helping families learn about Jewish traditions, JDC’s creation of two flagship JCCs in Warsaw and Krakow, summer camp experiences and other activities. On a personal level, Karina relates that it was when her 7-year-old daughter came home from Jewish summer camp saying prayers and singing Hebrew songs that she realized the full impact of JDC’s work. Karina is fluent in English, German, Japanese and Russian. 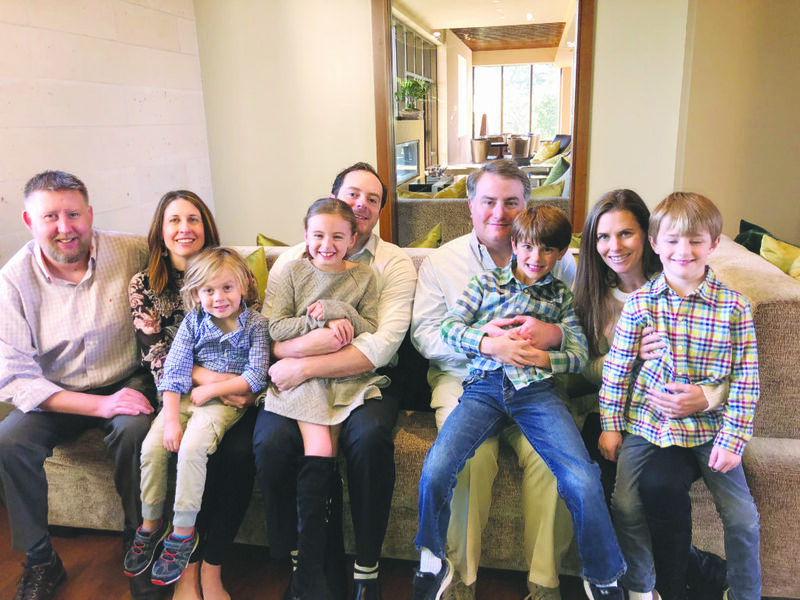 Thirty-seven years later: Marc Taurog; Caryn and Jeff Borden with children Vaughn and Ayva; Jeffrey and Lisa Kuperman with twins Liam and Max. Barry and Lynn Taurog and their three youngsters arrived in Fort Worth in January 1980 carrying visitors’ visas that were close to expiration. Yet they intended to stay. The couple had scoped out the city several months before and were optimistic that a position in a west-side travel agency would turn into the family’s ticket to American citizenship. Under no circumstance were they going back to South Africa. Despite their luxurious lifestyle in a Johannesburg suburb, the couple were determined to provide their children — Lisa, 7; Caryn, 6; and Marc, 2 — with a life free of apartheid and civil unrest. The Taurogs’ immigrant story of hard knocks and tenacity is featured in the Gone 2 Texas booklet that will be distributed at this weekend’s conference of the Texas Jewish Historical Society in Fort Worth. The family’s difficult, but successful path to U.S. citizenship took nearly a decade, much longer than the norm. Periodically, they crossed the border into Canada to renew their visitors’ visas. Their story is particularly topical at a time when the Trump administration is reshaping U.S. immigration policy. To receive green cards and citizenship, Barry had to fill a job that an American wouldn’t. When his first position as a partner in a Texas travel agency didn’t work out, he made a living managing a Quik Zip convenience store near Carswell Air Force Base. The premises rattled whenever military jets flew overhead. Barry had operated a pharmacy in South Africa. His credentials did not transfer to the United States. Starting over would entail enrolling in pharmacy school at the University of Texas in Austin and again uprooting the family. The Taurogs opted to stay in Fort Worth, where Barry spent the rest of his life juggling an array of jobs. He marketed South African jerky — bilbong — that he cured in a special dryer. At various intervals, he was in jewelry, insurance and real estate. He was a screener with the Transportation Security Administration at DFW Airport for seven years, where he befriended travelers from around the globe. He joined the Masons, his neighborhood Citizens on Patrol and was a docent at the Van Cliburn Piano Competition. He was the catalyst for a dialogue between the Jewish community and First Presbyterian Church, when the latter advocated economic boycotts against Israel. When he died of cancer in February 2007 at age 67, his funeral was standing room only. Although the Taurogs were members at Reform Congregation Beth-El, Barry and Lynn were part of the Chevra Kadisha — the burial society — at Ahavath Sholom, the city’s Conservative synagogue. “It’s the last act of kindness that you can do for someone,” Lynn told the Fort Worth Star-Telegram. Lynn Lawrence Taurog, a hostess, upbeat secretary and organizer, also proved her work ethic. She teamed up with a girlfriend to sell handbags at house parties. She worked at Weber’s pawn shop (owned by a local Jewish family), then at Radio Shack and, finally, at Senior Citizens Services organizing a food bank. Among her hobbies were gin rummy, mah-jongg, jigsaw puzzles and trips to Graceland. (Yes, she was an Elvis fanatic.) She survived her first bout of cancer in 1992, describing it as “a bump in the road.” A decade later, cancer struck again. She died in April 2007, two months after her husband. Married since 2008, Lisa and her husband, Texas native Jeffery Kuperman, are raising twin boys born in 2009. She went into restaurant management and commercial print sales and is part owner of Grease Monkey Rubs, a spice company. Caryn, who graduated from Texas Tech and has an MBA from SMU, lives in Dallas with her husband, Jeff Borden and two children. Marc Taurog, a software engineer with a home in Euless, was a toddler when his family left South Africa. He had built his first computer by age 8. Marc has clear memories of visits to South Africa. Once he fell in his grandmother’s pool, and the gardener fished him out. His grandmother brushed crumbs from the kitchen table into a pie pan that she set outdoors for the birds. This year’s observance of Yom HaShoah — Holocaust Remembrance Day — falls on Wednesday, April 11. The Jewish Federation of Fort Worth and Tarrant County, in conjunction with Texas Christian University’s Religious and Spiritual Life Department, will begin the observance a little earlier, at 6:30 p.m. Tuesday, April 3, with a presentation of My Heart in a Suitcase at the BLUU Auditorium at TCU, 2901 Stadium Drive. Free valet parking is available. 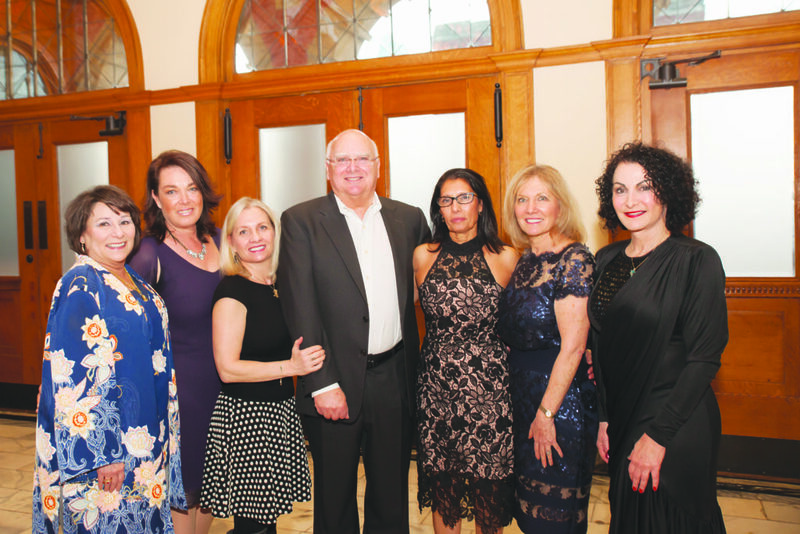 The Dan Danciger/Fort Worth Hebrew Day School Supporting Foundation is providing financial support for the program, which is free and open to the public. The ArtsPower National Touring Theatre’s play is based on Kindertransport survivor Anne Lehmann Fox’s biography and will conclude with a question-and-answer session from Magie Furst, a Dallas-area Kindertransport survivor. Angie Friedman, the Federation’s program director, said that while the play has been performed in Dallas, the upcoming performance will be its first in Fort Worth. She also pointed out that the Kindertransport was a bright spot in an otherwise horrible situation. “This play speaks to the beautiful, wonderful human beings who took care of the children, in the face of the war,” she said. The Kindertransport involved an organized rescue of close to 10,000 children, most of them Jewish, before the outbreak of World War II. Those children were taken from Germany, Austria, Czechoslovakia and Poland, and sent to families in the United Kingdom until the war ended. Furst, her brother and her mother departed her native Germany in 1939, when she was 10 years old, on one of the “rescue trains.” Her father, a decorated soldier who had survived World War I, died in 1934. The three lived in Great Britain for six years, until the war concluded. Though the family was safe, those years were difficult — Furst said she didn’t know any English, and she was separated from her mother and brother. “Very few families were willing to take in two children,” she said. Her mother eventually brought the family to the United States, where Furst and her brother settled in Dallas during the early 1960s. And, while Furst will be on hand at My Heart in a Suitcase, Romberg will speak at the Fort Worth Federation’s annual Yom HaShoah observance on April 11, close to a week later. It’s for this very reason that My Heart in a Suitcase is so important, Friedman said, as it focuses on the very topic of taking action, when needed, and standing up when injustice takes place. “Those families didn’t have to take in those children, or families, and keep them safe from war, but they did,” Friedman said. And, while the Nazi-generated Holocaust and events surrounding the Kindertransport are well in the past, hate-generated atrocities continue taking place worldwide. Additionally, anti-Semitism is alive and well, “and not just in Europe,” Furst commented. When Svetlana Ronin, a Soviet refugee from Kharkov, stepped off the plane at Dallas/Fort Worth International Airport May 15, 1990, she spotted a banner in Cyrillic letters that declared: “Happy Birthday Lana.” The best present for her 29th birthday was touching down in Texas. Accompanying Ronin were her extended family: husband Gennady, a mechanical engineer; their son, Yuri, a cherubic 5-year-old; her sister and brother-in-law, Maya and Mark Serebro, both engineers; and their daughter, Yuliya, 11. Last, but hardly least, was family matriarch Sofia Nosanovskaya, Lana and Maya’s 60-year-old mother, a language professor who landed jobs as a Russian instructor at the University of Texas Arlington and a translator at Texas Christian University. For this close-knit family, the transition from communism to capitalism, from the Russian alphabet to the ABCs, was jarring at times. They prove that the wandering Jews who settled in Texas weren’t just the banana peddlers, scrap-metal dealers and Galveston immigrants of a century ago. More recently, during the 1970s, 1980s and 1990s, scores of Johannesburg Jews and Russian refuseniks made Texas home. “When we first came, it was kind of like landing on the moon,” Mark Serebro recalled. 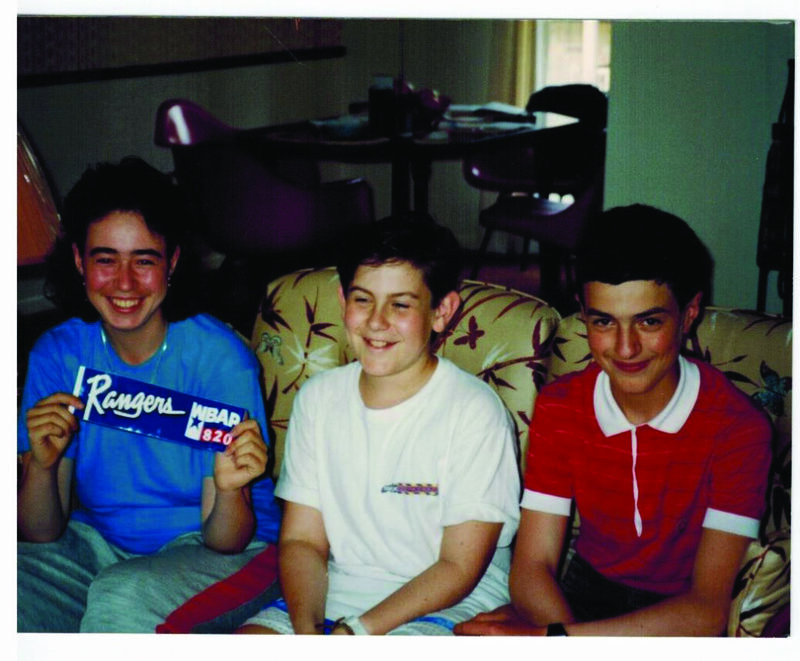 Modern expats such as the Ronin-Serebro family will be the focus of a multimedia panel, “Gone 2 Texas: Two Waves of Immigration, Soviet & South African,” from 10 a.m. to noon April 14 at Beth-El Congregation, 4900 Briarhaven Road in Fort Worth, as part of the Texas Jewish Historical Society’s 38th annual gathering. Today, 28 years later, the Ronins and the Serebros are American citizens who have bridged two worlds. The extended family arrived under the umbrella of Operation Exodus, the resettlement in North America and Israel of 1.1 million refugees fleeing anti-Semitism in the Soviet system. More than 70 refuseniks settled in Fort Worth, where the Jewish Federation had raised money, rented apartments, signed up volunteers and arranged job leads for the adults. Ronin, who was an economist in the Ukraine, initially worked with Color Tile as an accounts-payable bookkeeper. After five years, she took her bookkeeping skills to Stove Parts Supply. She switched to computer programming and ultimately became an entrepreneur, operating two Pearle Vision centers, one in Euless and another in Southlake. Her husband learned to drive a car shortly after arriving in Texas and was hired at Frias Engineering of Arlington. Today he is a manager with Lockheed-Martin. The couple live in Colleyville. Their son, Yuri, and niece, Yuliya, initially enrolled at Fort Worth Hebrew Day School, learning English, Hebrew and all about Judaism, which was taboo in the U.S.S.R.
Yuri, who anglicized the spelling of his name to Yury, graduated from Arlington’s Lamar High School and TCU, then enrolled at University of Houston College of Optometry. That’s where he met Nelly Gendelman, a Soviet immigrant whose family had resettled in Dallas. Yury and Nelly were married under the chuppah in November 2014. Maya Serebro initially worked in finance and payroll at Tandy Corp. and then for Color Tile. When Color Tile ceased operations, she worked at a succession of banks and at Colonial Savings. Meanwhile, her daughter, Julia (formerly spelled Yuliya), worked her way through college with part-time banking jobs. After graduating from TCU with a degree in business administration, Julia applied to Allstate and for the past decade has been among the insurance company’s top agents, listed on Allstate’s Honor Ring, Circle of Champions and Leaders Forum. Maya sometimes helps out at her daughter’s Allstate office in Mansfield. Julia’s dad, Mark Serebro, began his American career on the assembly line at Tandy. He rapidly moved into computers and advanced to systems engineer. Since 2004, Mark has been with the City of Fort Worth, where he is a senior IT tech support analyst. The woman was South African-born Dorene Zilberg, whose family had immigrated a decade earlier from Zimbabwe. Dorene Zilberg died from cancer in 2002. Her husband, retired pediatrician Bernard Zilberg, 91, still lives in Benbrook. Their daughter Elana became a cultural anthropologist, focusing on Latin American asylum seekers. The expat experience remains a theme running through each of these immigrants’ lives. The “Gone 2 Texas” program is open to the public, with a $15 charge for those who stay for lunch (sandwich platters from Yogi’s Deli). To register, contact Jack Gerrick at texbed@charter.net or 817-994-3074, or send a $15 check to the TJHS at 4308 Sarita Drive, Fort Worth, TX 76109. A booklet with follow-up stories of 10 immigrant families will be distributed during the program. The Texas Jewish Post will print more of these profiles in the weeks to come. The Texas Cowboy Hall of Fame in the Fort Worth Stockyards on Jan. 11 inducted a slate of individuals who represent what it means to be a Texas cowboy. For the Luskey family, however, this year’s ceremony was more than an annual event hosted by the museum down the street from their legendary Western retail shop. 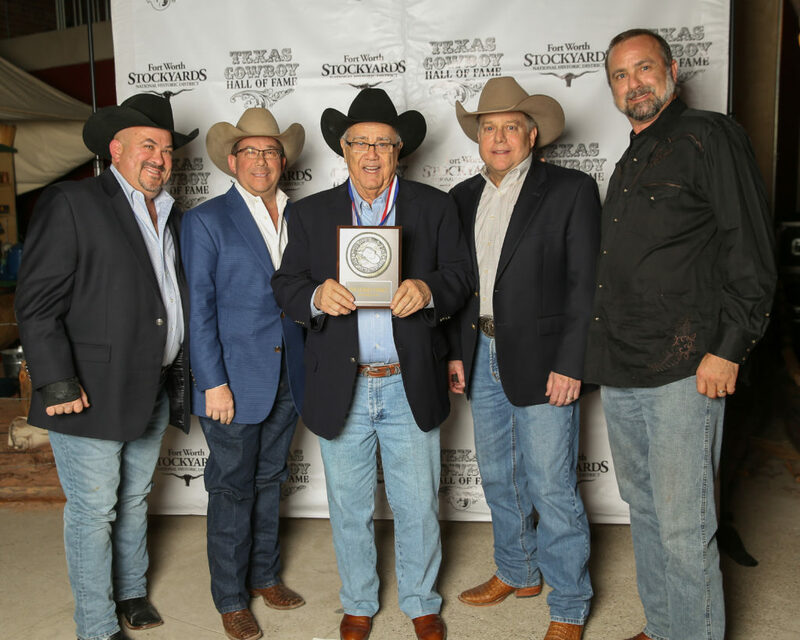 The family was among this year’s honorees, along with ranchers John, Punk and Roy Carter, bull rider Adrian Moraes, cattleman Gerald Sullivan and artist Bruce Greene, who received the 2018 Rick Smith Spirit of Texas Award. About 30 Luskey family members from around the country attended the ceremony, said Alan, who ran the store with cousin Michael until 2016 when they sold it to Cavender’s. The cousins are still fixtures at the store founded in 1919 in downtown Fort Worth. The family eventually transformed it from a dry-goods merchant into a full-fledged western wear store, selling boots, cowboy hats and belts. In 1982 the Luskeys merged with Ryon’s Saddle Shop to create Luskey’s-Ryon’s Western Wear, a two-story building that the family ran at 2601 N. Main St. in the Stockyards. It is believed the Luskeys are the first retailers and Jewish honorees. But the Jewish western and rodeo legacy is still rich. In 2016, the late Frances Rosenthal Kallison, who was born in Fort Worth, became the first Jewish cowgirl honoree inducted into the National Cowgirl Hall of Fame and Museum, also in Fort Worth. In 2015, Rabbi Andrew Bloom of Fort Worth’s Congregation Ahavath Sholom led the first Jewish prayer at the beginning of the annual Fort Worth Stock and Rodeo. Applicants have to submit accompanying information, including two letters of recommendation, a detailed biography, a list of accomplishments and other relevant documents. A committee whittles down the list and chooses the year’s honorees. The family was informed about 90 days before the ceremony, giving them enough time to round up family members and get display items for their booth highlighting the family company’s history. “It is a huge honor for the family. It means a lot to Western industry. They are the people who have supported us for 100 years,” Alan said.